Grimm’s Automovation takes pride in being a full-service vehicle repair facility, fully equipped to repair heavy duty trucks and tractor trailers. While we are one of the leading auto repair shops in Frederick, MD, we are also a leader in big truck repair service.Whether you are stranded with your truck on the side of the road, or in need of routine maintenance, Grimm’s highly trained truck mechanics are here to help. Our mobile repair unit is on call and can quickly and accurately handle your needs wherever you are located. Roadside repairs include coolant leaks, brake issues, air leaks, hoses, tire repairs and more. Grimm’s Automovation team of ASE certified technicians offers quality big truck repair and towing services. Although we are an independent facility, we are the largest auto and truck repair facility in Frederick, MD. We understand that getting loads to their destination is how you make your living. We strive to provide fast, friendly service so you can get your load where you need to go. 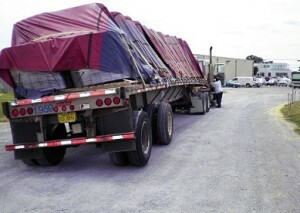 When it comes to big truck service in Fredrick, MD, you can count on Grimm’s Automovation to offer superior results. 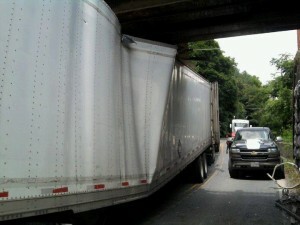 We also specialize in fleet service and we are a preferred service for many truck breakdown management companies. Our team offers full-service big truck repairs, ranging from routine maintenance to major repairs to accident scene clearing. Whether you need roadside assistance, help with a shifting load or an oil change, you can count on Grimm’s. Make the call to 301-694-6613 today. 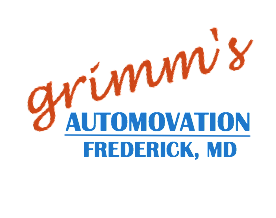 Grimm’s truck repair shop is conveniently located on N. East Street in Downtown Frederick, MD. We serve all of Frederick County, MD and surrounding areas including: Middletown, Thurmont, Brunswick, Urbana, Libertytown, New Market, Mt. Airy, Myersville, Adamstown, Buckeystown, and Urbana.